LIGHT ALL INCLUSIVE OFFER - From 299€ for a 4-night stay. Indicated price is the total amount of the stay. 4-night all inclusive stay at the Chalets les Aiguilles: full board (breakfast, lunch and dinner), liftpasses for 3 days (including Aiguille du Midi, Montenvers train, Tramway du Mont-Blanc). 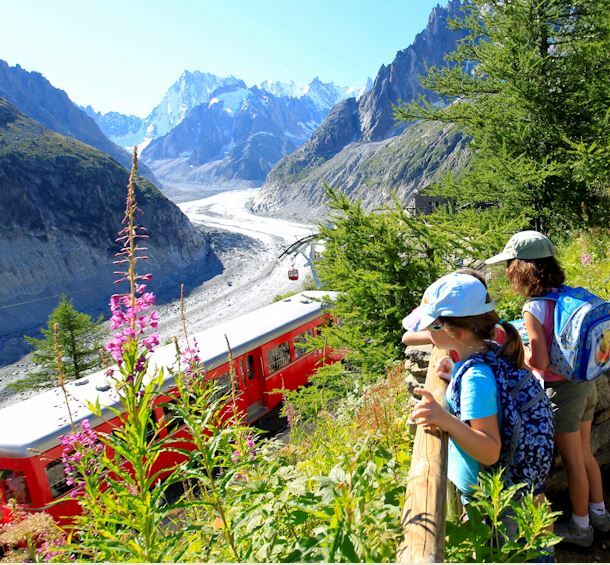 The Chalets des Aiguilles are situated at the foot of the ski slopes alpine of the Planards, near the train of the Mer de Glace, in 300 m of the city center and the station, on a property quiet and afforested away from the urban animation. 4 modern chalets of Savoyard type(chap) with elevator. 30 rooms(chambers) (among which 1 for the people with reduced mobility) soundproofed by 2 or 4 beds, any outings of bathroom and toilets. Local tourist tax not included.